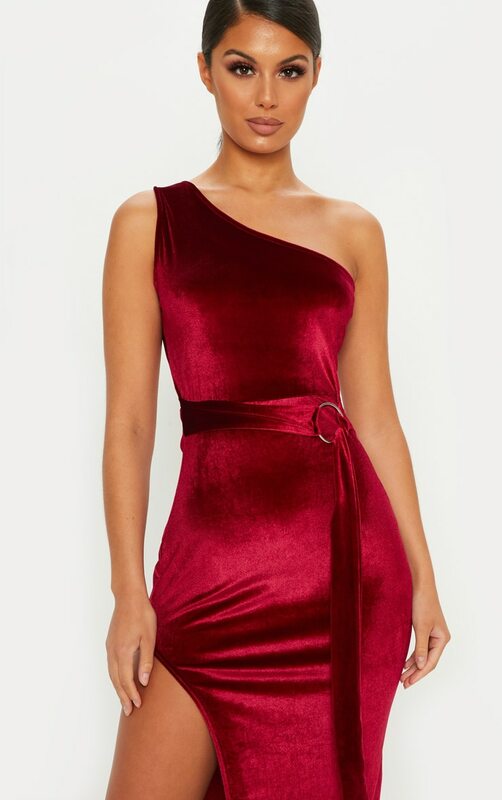 Add some luxe to your weekend wardrobe with this midi dress. 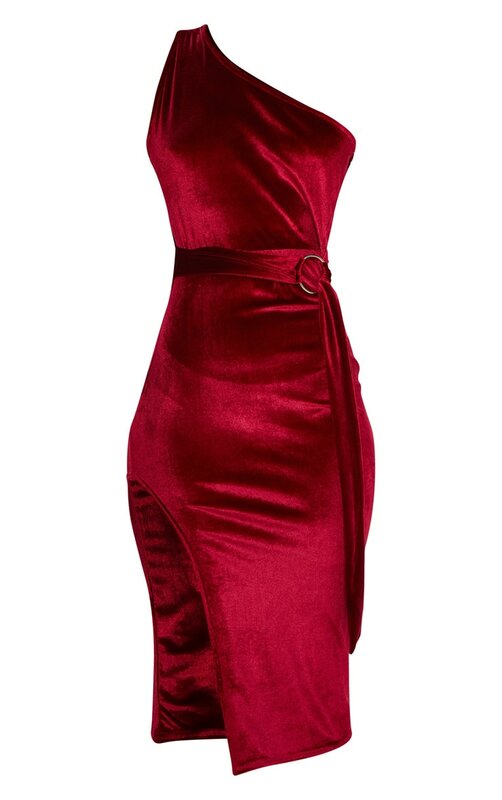 Featuring a velvet burgundy material with a one shoulder design and a tie waist detail. Team this with sky-high heels and a statement clutch to complete the look.